Monetary Architect of the Hawaii Dala, Liberty Dollar, Trump Dollar & More; aka "the Rosa Parks for Monetary Rights." Trump Dollar Commemorates Candidate’s 1,237 Delegates! Are You Celebrating Your Liberty Today? Do you feel free? Are you enjoying your liberty? One of the few freedoms I see that we still have left to us, is the freedom to buy real money; i.e. gold and silver. Yes, this is another shameless plug for the Trump Dollar. Of course I want you to buy some gold and/or silver from me. Own some Free Speech that is Actually Worth Something. The “2016 Trump Dollar” is a clear call for freedom of political speech and an expression of distrust of the entrenched political class. It was created to recognize Donald Trump’s heroic presidential candidacy and popularize it with collectors and sound-money supporters. It was designed by Bernard von NotHaus, the monetary architect of the Liberty Dollar. That’s me. Tyler Durden, over at Zero Hedge, best expressed today, my sentiments about the current state of freedom in America. What Is It We’re Celebrating Exactly? “Moral law no longer governs. Only the law. And that can be anything. There are no limits whatsoever on what may be done to us; only that a law be enacted (and not even that). We are bound to obey, regardless. The king’s men could simply take our things, search our persons on whim. The colonists objected to such treatment and cited such treatment among the reasons for their decision to secede. Is it not a fact that the government’s men (and women) can simply take our things? Search us on whim? Have you traveled recently?” Read his post HERE. Meanwhile, out in California, Governor Brown just signed six more gun ban laws, removing more freedoms that Californians thought they had. James Wesley Rawles over at Survival Blog, did an excellent job of informing us…Coping With California’s Six New Gun and Magazine Ban Laws. Author BernardPosted on July 4, 2016 Format AsideCategories Bernard von NotHaus, Donald Trump, Freedom, General, Liberty, Liberty Dollar, Real Money, Trump DollarTags California Gun Laws, Freedom, Liberty, Real Money, Trump DollarLeave a comment on Are You Celebrating Your Liberty Today? I am still on the road, returning home from the 2016 PorcFest Freedom Festival where I was one of the speakers. The standing ovation I received was extremely moving. I appreciate everyone who came to hear me speak, and visited with me. I especially appreciate all of those who bought Trump Dollars on the spot! I found some interesting links regarding the week long Libertarian event. The “2016 Trump Dollar” – a clear call for freedom of speech and expression of distrust of the entrenched political class – was designed by Bernard von NotHaus, the monetary architect of the Liberty Dollar. The Brilliant Uncirculated commemorative coin is available in pure .999 fine silver and pure copper. I am still away from home so this is another short post. My new blog has not been promoted or shared yet. The kinks are still being worked out, and I am learning how to use this awesome tool. Epic Speech: Is Trump for Real? This one is for the record books. Seriously… there’s always heightened campaign rhetoric; but usually it is pillow fighting for two parties that are in bed together screwing the country. Author BernardPosted on June 23, 2016 Format AsideCategories Donald TrumpTags Donald Trump, Election 2016, Hillary ClintonLeave a comment on Epic Speech: Is Trump for Real? It was a real honor to be invited to speak again at the PorcFest Freedom Festival organized by the New Hampshire Free State Project. I will be speaking at PorcFest on Thursday, June 23 at 1PM. If you can get a ticket, come on up and see me! I was one of the few speakers at the very first PorcFest back in 2004 and still have the t-shirt:) Last year, the first time I had been back since 2004, I got a standing ovation… even before I spoke! Oh and I got another standing ovation after I spoke too. It is always an incredible week. This year marks the 13th PorcFest. This is my first blog post ever, on my new blog. Please stay tuned and come back regularly to see what is new. I am posting in the Archives, some of my previous Liberty Dollar Newsletters that went out to email subscribers. “The American people need to realize that Donald J. Trump is our last hope. He is the only person who is capable of saving America and the Western World as a whole from falling into the depths of despair due to globalist agendas and a crippling political correctness era. As you may recall, in 2008 the LibertyDollar.org issued the Ron Paul Dollar that was wildly successful and ruled non-counterfeit in my criminal counterfeit case. This gave rise to a group of highly spirited Americans who have created the Trump Dollar to honor Donald J. Trump, the first private citizen to campaign for the US Presidency in over 100 years! I am pleased to announce that forces way beyond my humble control has created the Trump Dollar. A masterpiece in many ways, the Trump Dollar is the work of many of the finest craftsmen in the country including Wayne Takazono, Hawaii portrait artist; Luigi Badia, national merit sculptor and William LaMere, mintmaster at the North American Mint. I am deeply indebted to them and many more people who have made the Trump Dollar a reality. I invite you to “Trump the Government”TM with free political speech that is actually worth something! And get a Trump Dollar today! Fed up with the political class? Fed up with money that loses its value? Show how you feel with the “2016 Trump Dollar” – a silver-dollar size commemorative coin made of one ounce of .999 fine silver! The “2016 Trump Dollar” expresses the anger of the American people who distrust politicians and the badly broken U.S. political process. A portrait of Donald Trump and the words TRUMP THE GOVERNMENT are featured on the obverse and reinforced with VOTE NON POLITICIAN on the reverse of the commemorative political coin. The “2016 Trump Dollar” – to commemorate Donald Trump’s presidential campaign and give voice to the voters dissatisfaction who are fed up with the political class – is available by pre-order. Shipment of all orders will commence – in the order received – after the First Day of Issue reception on April 27 at the Trump Tower in New York City. 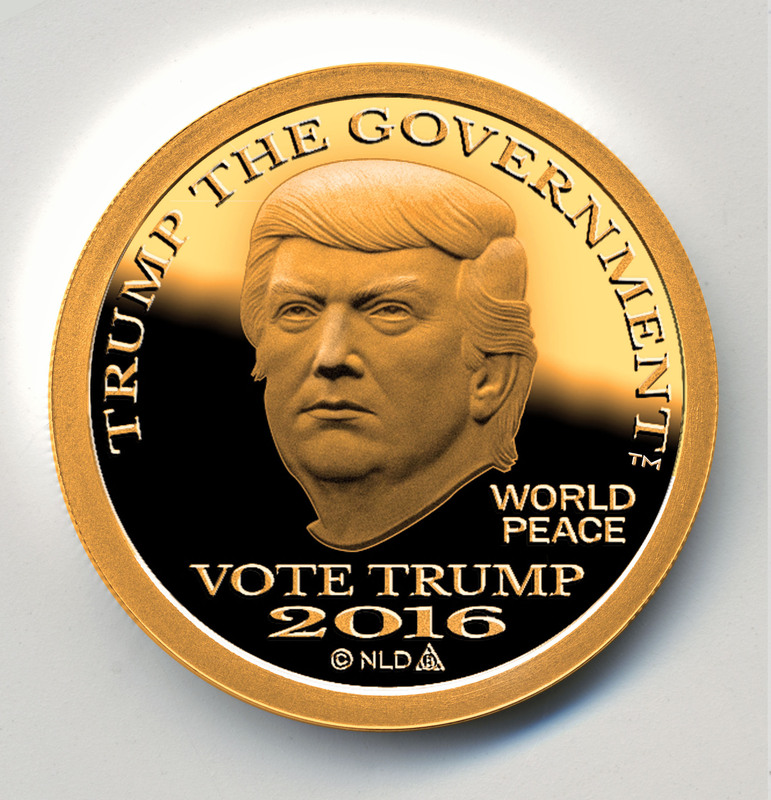 The “2016 Trump Dollar” – a clear call for freedom of political speech and expression of distrust of the entrenched political class – was designed by Bernard von NotHaus, the monetary architect of the Liberty Dollar, to recognize Mr. Trump’s heroic presidential candidacy and popularize it with collectors and sound-money supporters. The commemorative coin with one full ounce of pure 999 fine silver in Brilliant Uncirculated (BU) condition is available at the MSRP of $25 featured on the reverse. The one-ounce copper BU Trump Dollar is $5. Single Proofs of the Copper and Silver Trump Dollars are also available in addition to a special three coin Gold Proof Dougle Split Piedfort Set – with a $2000 MSRP proof gold, $25 silver and $5 copper – is available for $2450 in an engraved wood presentation case with a numbered Certificate of Authenticity. Additional info and orders may be placed at TrumpDollar.US or call 888.542.3655. The special “First Day of Issue” of the Trump Dollar – with a hand stamped hallmark on a Brilliant Uncirculated Silver Trump Dollar is available for only $35 by pre-order or at the First Day of Issue Reception at the Trump Tower in New York City on April 27. Please RSVP for $29 at TrumpDollar.US. 5% of all net sales will be donated to the Special Operations Warrior Foundation, which provides assistance to severely wounded and hospitalized special operations personnel. Please join me to “Trump the Government” with a non-politician. Many thanks for your assistance and support of the Liberty Dollar! For the first time since being arrested for counterfeiting and conspiracy on June 4, 2009, I am off probation and free! 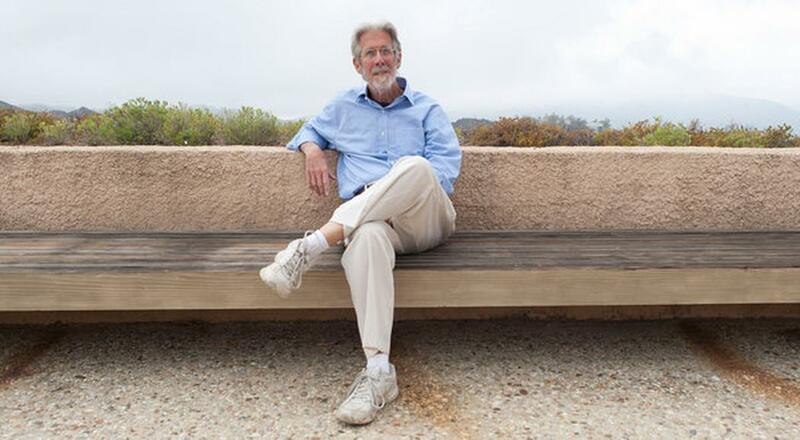 Earlier today, Judge Richard Voorhees issued a Court Order for early termination of my three year sentence. Please click HERE for the Court Order. I light of the fact that I was facing 22 years in federal prison, the three years of probation is the closest I or the Liberty Dollar will ever come to a vindication. Meanwhile, the forfeiture case has been moving at light speed with 265 Petitions approved in record time and the balance have moved along very well. I am soo pleased that soo many Liberty Dollar supporters refused to let the government steal their property. The Petitioners will receive actual Liberty Dollars! How cool it that!? Words cannot express my sincere appreciation for all of you who took a stand for a value based currency and supported the Liberty Dollar. My heart goes out to those who have been harmed or not lived long enough to enjoy the blessings of their activism. Many many thanks for your staunch support of the Liberty Dollar! Government to Return the Majority of the Seized Material!!! I am very pleased to inform you that on Friday, August 14, 2015, Assistant US Attorney Thomas R. Ascik just filed Document 632 that outlines 265 of the 302 Petitioners have been APPROVED and your property will be returned! Of course, this is the most amazing news. Have you ever heard of the cops ever returning seized material? Of course not. And if any property is returned it is only after years and a ton of money as was the case with my mother’s silver! The fact that the gov is going to return actual Gold and Silver Libertys is in keeping with the very unusual nature of the Liberty Dollar case. Such a positive turn of events adds to the beauty and lore of the Liberty Dollar and the brave dedicated Americans who dared to develop and USE their own gold and silver currency in keeping with the US Constitution! Praise the Lord for all your fine efforts and for filing a Petition to keep the government from stealing your property. Now, the bad news is that the DOJ is proposing not to return any property until all the Petitions have been resolved. While this may be understandable, it does mean that you will not get your long awaited property for a few months… only God knows when. The important point is that the government has agreed to return the majority of the property and hopefully you will receive your gold and silver before Christmas! Please check the attached docs regarding your petition as I have already found two Petitioners who were not even listed! The Appendixes detail the approved Petitions and the Petitions in question. The gov is proposing to settle 27 Petitions in part, 7 Petitions are denied, 4 Petitions are in question and one Petition is to be refilled. All denied and settlement-in-part may be appealed and addressed in person at the Ancillary Hearing that will eventually be heard in Federal Court in Charlotte, North Carolina. NOTE: No action will be taken until the Court rules on this Consolidated Report and no property will be returned until all Petitions are resolved. More info is available at www.pacer.gov case # 09-27 when you register for a free account. I will continue to keep you informed with any and all developments regarding the Liberty Dollar and your property. Please email me with any concerns or developments regarding your property. I remain steadfast to get your property back! And get it back ASAP!! Thanks again for your continued support of the Liberty Dollar and for those ideals that brought us together. Thank you for your wonderful emails and your continued support. While I am disappointed we didn’t “change the money – change the country,” I am humbled by your kind words of support and sheer joy that I am not going to prison. I hope to review all my emails and reply to your questions and suggestions as soon as time permits. Meanwhile, you may wish to share the main points raised in the Wall Street Journal editorial by Seth Lipsky just the day before I was sentenced: “A Monetary Gadfly in an Age of Fiat Money” and his excellent editorial “Beyond Bernard von NotHaus” in the New York Sun published the day after I was sentenced. Both are very well written and should be of interest to your local news sources. I wish to express a very special thanks to Noell Tin, Fred Williams and Tom Ashcraft, the very competent and dedicated team of attorneys who represented me at the Sentencing Hearing and GATA for their outstanding support and posting Seth Lipsky’s WSJ. Please remember that it is only by banding together and adopting a free and independent currency that provides us with “just weights and measures” that we will be able to throw off the yoke of a manipulated monetary/tax system and generate a peaceful and prosperous society.